God’s own country is full of glorious moors, beaches and cities and if there was ever a county that could offer everything you ever need with added beauty, Yorkshire is the one. But with so many options, which nook of the region should you choose to visit next? Here are a few of our favourite places to visit. 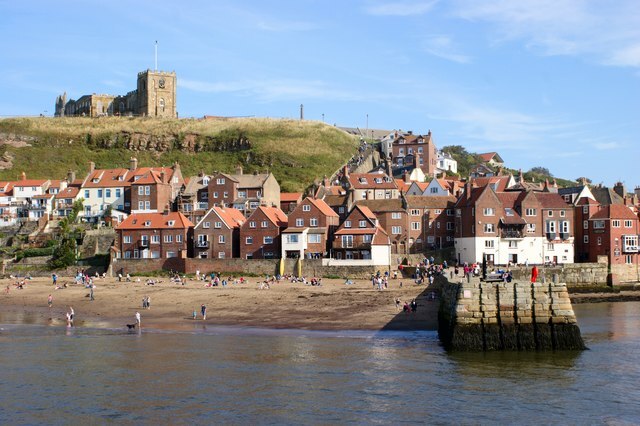 A gem on the North Yorkshire coast, Whitby is well-known for its exceptional fish & chips and blue flag beaches, but this coastal village has even more to offer. Whitby Abbey is a good place to start with its monastic ruins theatrically framing views of the bay below. Many a great writer has taken inspiration here, but if you are in need of something to loosen the creative muscles, you might like a trip next door to the Whitby Brewery. The sea is one of the real draws of this town and once you’ve walked along the cliffs, you should certainly pop down for a paddle – provided it’s warm enough! Whitby has a history of whaling, but is now much more interested in looking at them than catching them. Board the Bark Endeavour for a Captain Cook Experience or pull on a wetsuit and take a surfboard out at West Cliff Beach if you’re feeling brave. If the sun is shining, drive along the coast and take a stroll along the beautiful and uninterrupted Sandsend beach, while a little further along the coast is the spectacular village of Staithes. These quaint seaside spot hides beneath the cliffs, and is one of the most photogenic places in the entire country. Stay at Jurys Inn Middlesbrough and take the charming drive through the North York Moors on your way to experience all Whitby’s best attractions. 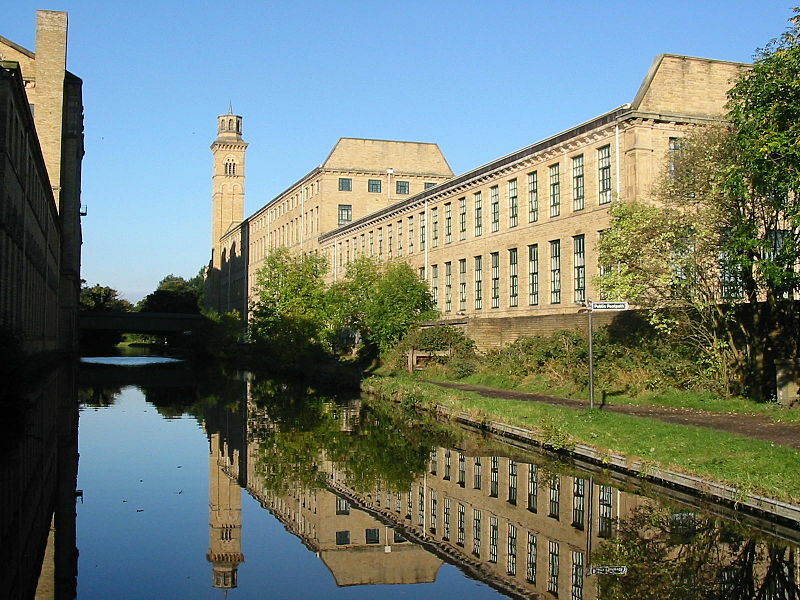 Not just any village, Saltaire was purpose built by Titus Salt to house the workers in his textile Mill outside Bradford. The village is now a World Heritage Site and for good reason – it’s simply stunning here and the enlightened thinking that powered the industrial revolution is worth reflecting on today. The village has pretty much everything the workers could have needed, from schools and libraries to bath-houses and even a gymnasium. It was truly ahead of its time. Salts Mill is open to the public and, though it is no longer a working textile mill, this vast building has been put to excellent use and is home to a large collection of works by David Hockney. In fact, the artworks go hand in hand with excellent food, designer homeware shops and antiques in this cultural centre. The easiest option is to stay at Jurys Inn Bradford and then enjoy a short drive out of the city and through some charming countryside. You might like to think Yorkshire is entirely made up of small villages with dry stone walls, and Chatsworth House may just be the exception that proves the rule. 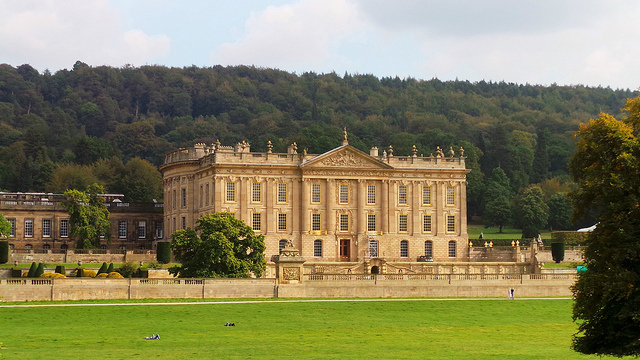 Possibly slightly better known as Pemberley, the residence of a certain Mr Darcy, Chatsworth House is as grand and magnificent as any country home and comes complete with the 105-acre Chatsworth Garden. Stroll through the Sculpture Gallery in Lizzie’s footsteps and then take afternoon tea at one of the restaurants onsite. Explore the large gardens at your leisure, following the trails and ambling through the sensory garden, or go and see what is happening on the farm. This is a day out for everyone. Getting to Chatsworth House is remarkably easy and would be most conveniently reached from Jurys Inn Sheffield, just over half an hour away. The drive into the Peak District is just the thing for escaping the city and going back in time. If you have been searching for the classic Yorkshire market town, Otley could well be it. In fact, you may recognise it, since it regularly features as a backdrop on Emmerdale. Birthplace of Thomas Chippendale, the town is preparing for a mammoth summer of celebrations to mark the great cabinet maker’s 300th birthday in 2018. But that isn’t the only attraction: Otley is home to a great variety of independent shops as well as a historic market. Though it may be thought of as a gateway to the Yorkshire Dales National Park - and is certainly an ideal starting and finishing point for a variety of walks - Otley is also full of nightlife. The Otley Run is a popular student trail taking in as many pubs between Leeds and Otley itself as possible. You could happily start at Jurys Inn Leeds if you fancy an afternoon sampling some fine ales. With so many ways to spend a day or two in Yorkshire, you’ll be hard pushed to figure out which you are going to do first.